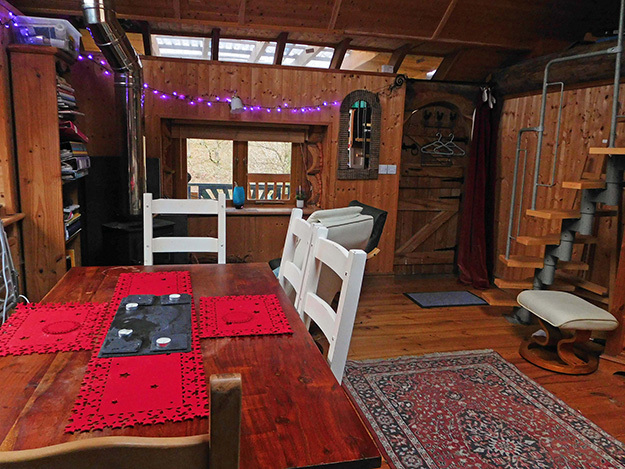 Following on from a request at Christmas for extra accommodation to enable the family to have Christmas together – we are now offering our Log Cabin (my studio!) for those who may wish to bring family/friends to Raven’s Retreat. Mostly people want peace and quiet from the family, but it is such a lovely place to spend holiday time it is understandable that family want to come too. 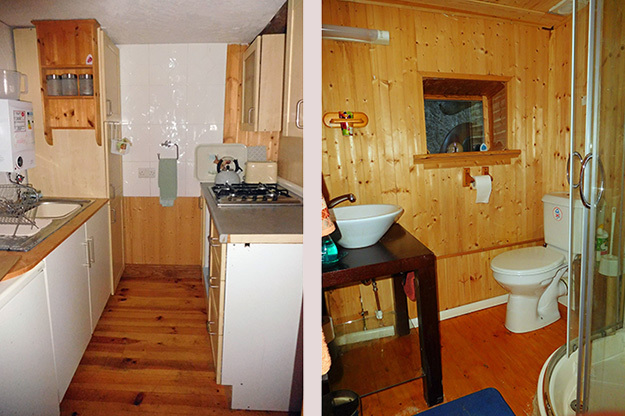 The Cabin comprises open plan living/sleeping/kitchen area, with gas hob, kettle, toaster, fridge etc and a table with seating for 6 and log burner (overall floor space 16’x20’). A separate shower room and toilet is partitioned off and the sofa bed pulls out to a double. There is a small conservatory accessed from the back door and a barbecue area on the wide veranda that surrounds half the cabin that looks down on Raven’s Retreat about 50 metres below. 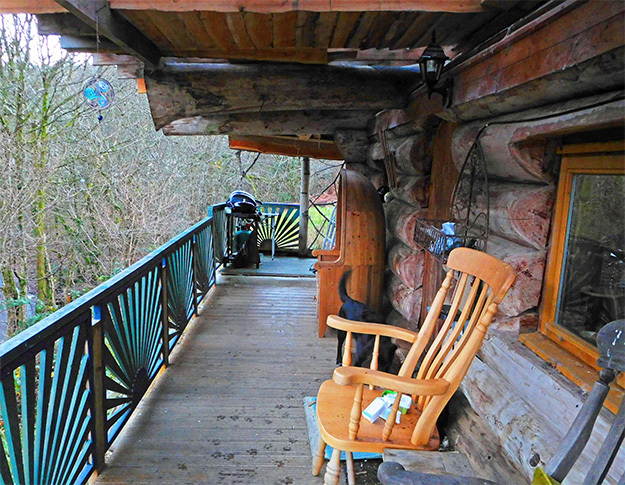 The Cabin is approached through a gate from the lane running up past our house and parking is available. The cost will be from £80 per night.